This is a guest post by Sumitha Bhandarkar, owner of AFineParent.com. Sumitha launched her blog less than 6 months ago and she’s already amassed over 31,000 followers of her blog. Before she even launched her blog, however, she already had collected 1,357 email addresses for her email list, so she didn’t have to blog for zero on day one. How? Well that’s what she talks about in this post. Take it away Sumitha! I published the first post on my blog on October 7th, 2013. In that week, 566 unique visitors stopped by my site resulting in 1,645 pageviews. Nothing to brag about, but a far cry from the lonely early days that most beginning bloggers without a good launch plan can expect. Before you officially launch your website, you can already begin the marketing process for your site by creating and promoting a pre-launch “coming soon” teaser page. I did this in combination this with Jon Morrow’s suggestion to use guestblogging to drive the traffic to the coming soon page. Consequently, with this simple strategy, I was able to build an email list of 1,357 subscribers even before the blog launched and tap into that list to generate traffic to my site from day 1. The beauty of an email list like this is, I can reach out to my audience each time I publish a new article. So, not only did I have the pre-built audience for my first post, on each subsequent post that I’ve published, I’ve received at least 700 unique weekly visitors (screenshot above). The interaction with these amazing visitors has been priceless to keep me going through the sometimes frustrating early days of figuring out the ropes! I’ve learned a lot from SPI over the years – both through Pat’s tutorials and the reader community feedback/suggestions in the comments. I’d like to give back in some sense by creating a comprehensive, tried-and-tested, in-depth Pat-Flynn-style article on how you can use this strategy to create your own list. It’s organized as an FAQ that tackles the two main aspects – creating a “coming soon” page and using guestblogging to promote it. If you have any additional questions, feel free to ask them in the comments section and I will try to answer them to the best of my ability. 1. 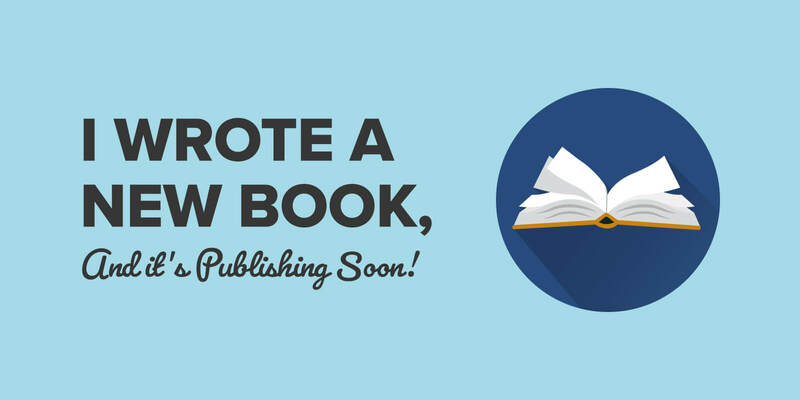 What Software Should You Use to Create a “Coming Soon” Page? As it were, when I started, I didn’t know about leadpages. Also, at that point I was looking for a free option. So I tried two different things – (a) a plugin called Ultimate Coming Soon and (b) a theme called Launch Effect. If you are starting fresh and would like to test-drive this strategy before investing in paid software like leadpages, either of those options should work fine since they are both simple and fairly straightforward to use. Note that these are not the only free options – a simple google search for “coming soon plugins” or “wordpress maintenance mode” will bring up a plethora of options to choose from. 2. What Content Should Be on Your “Coming Soon” Page? Your “coming soon” page must accomplish two things – (a) provide a visitor very clear information about what your new site/blog will be about and (b) provide a way for them to sign up if what you have to offer resonates with them. The first big peak during the week of May 19th – May 25th was the first time that one of my guest posts got a lot of attention. During that week 2,043 visitors stopped by my site, out of which 240 subscribed (11.75% conversion rate). At this time, I had the simple text-only coming soon page. The next big peak was in the week of July 28th – Aug 3rd during which 1,253 visitors stopped by my site, out of which 330 subscribed (26.34% conversion rate). During this time, I had the image based coming soon page and the custom-title sign-up form. That’s a 2.2X increase resulting from a simple change to the design of the “coming soon” page! I never did grab a screenshot of my first landing page, but here is a screenshot of the landing page that I used for my later posts that converted at an average of ~20%. More recently, influenced by Pat’s Rapid Listbuilding webinar with Clay Collins I’ve switched to leadpages. (You can see my latest landing page here.) At this time I am still experimenting with the different templates and copy, and so far it looks promising with conversion rates in the upwards of 30%! 3. Should You Have Something to Give Away on Your “Coming Soon” Page? In general, I’m of the opinion that having something free to giveaway is great, but not having something to giveaway should not keep you from creating your “coming soon” page and starting your guest posting effort. The sooner you start, the better position you will be when you eventually launch. Personally, I have not had a lead magnet to giveaway on my site so far. And I plan to leave it like that for now – I like the idea that those who signed up did so because they really identify with my mission and aren’t in there just for the sake of a freebie. 4. Do You Need to Set Up an Auto-Responder Series? Again, if you can create an e-course or a special series of articles that you can distribute to your email list that is great – but it is not a requirement. The basic requirement is to put together a welcome message that reminds them why they signed up and sets the expectations of what will come next. You can then follow it up with a few simple mails once every 7 – 10 days to just stay in touch until you launch. 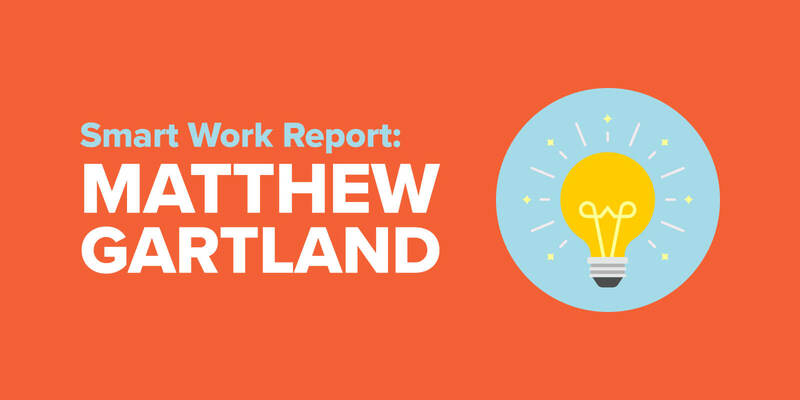 This was the strategy I used before my blog was launched. After the launch, I got rid of this series of mails, and started sending weekly notifications of my latest blog post instead. 5. How to Track Stats? Stats can be a major addiction if you let it, especially when you are just starting out. If you are honest about it though, at this point, you really need to know just two things – (a) is the “coming soon” page converting well and (b) is the site on which you publish the guest post a good fit for you. To track this, all you need to know is the total number of visitors to your site and the number of email optins. If you use leadpages, it provides you both these directly in your dashboard. 6. Wait, isn’t Guest Blogging is Dead? Recently, Matt Cutts (head of spam at Google) kicked up a bit of a storm in the blogging world by declaring that guestblogging is dead. The blogging community responded quite vehemently against such a declaration. Matt Cutts eventually clarified that he actually meant spammy guestblogging solely for SEO reasons is dead. Phew, that’s good. Because guestblogging the way we talk about below is very much alive and if anything, all the more relevant in the face of Google’s crackdown on spam. So, let’s look at some real questions about guestblogging now. 7. How Many Subscribers Can You Expect From Each Guest Post? When I started out, this question was at the top of my mind. 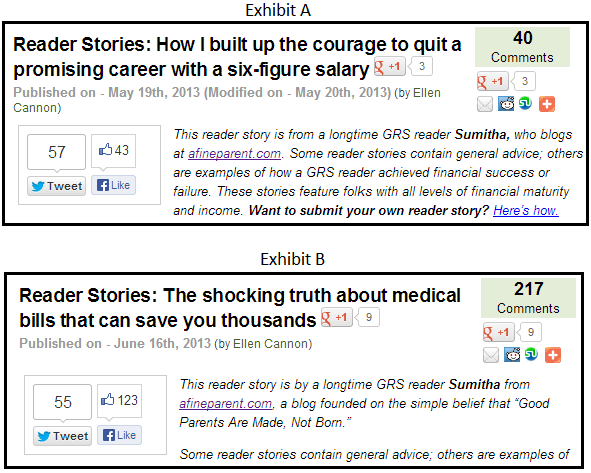 What I found out eventually is that, some guest posts do extremely well and others fall flat. By looking at the absolute number of subscribers per post, you set yourself up for disappointment and dejection. A better way to monitor progress is to set a target number of subscribers you want to acquire by a target timeframe. And then, post away. In my case, it took me 13 posts to get to my then target of 1,000 subscribers. Out of those 13 posts a couple of posts brought in 150+ subscribers. About half of them were in the 40-80 subscriber range. And sadly, a few got less than 20 subscribers. 8. How to Pick Which Blog to Post On? There’s a school of thought that you should start by posting to a blog that is just a little bit ahead of you in the game and then build your way up to the big blogs. Before you buy into that idea though, here’s something you need to consider. Of all the readers of the blog you post on, only a few will click through to your site. Out of those that do visit your site, only a fraction will sign up to your list. So, if you start out with the smaller blogs, it’ll take you forever to increase your subscriber count. I don’t know about you, but if I publish 10 guest posts and all I have is 50 subscribers to show for it, I’d find it hard to keep going. To even have a shot at publishing on a big blog however, you should know that blog, and the blogger behind it really, really well. Think of it this way – if two complete strangers approach you trying to sell tickets to a show who are you most likely to buy from – the person who is selling tickets to his favorite show that you’ve never heard of, or the one who has the last 2 tickets to the sold-out show that you really wanted to go for? When you approach the big blogger, you want to be that second person! 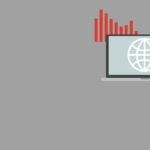 The target blog does not necessarily need be in the exact area of your blog. For instance, my blog is a personal growth blog exclusively for parents. Even though SPI is primarily about adventures in online entrepreneurship, I know that a lot of young parents hang out here. When Pat wrote about the effect his kids have on his business some time back, his audience (that’s you!) jumped in with a ton of comments — 180+ the last I checked. So, this a good blog for me to put on my target list, even though it has nothing to do with parenting. This blog is a good candidate for guest posting for another reason – Pat normally publishes a new post only once every 2-4 days. I realized just how important this was recently when I got two guest posts published on two different top blogs – lifehacker.com and marcandangel.com. Both are great blogs to get a chance to publish on. Both were very nice to work with. Both have highly engaged audiences. 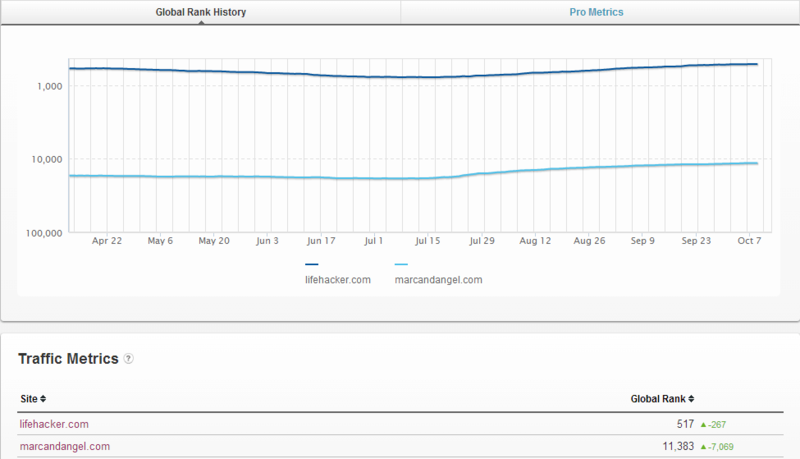 There are two distinct differences though – Lifehacker has a 3-digit Alexa ranking whereas MarcandAngel has a 5-digit one, so Lifehacker’s traffic is much higher. The second subtle difference that a lot of potential guest bloggers overlook is their posting schedule — Lifehacker posts ~20 posts each day, MarcandAngel posts once every 2-3 days. Which difference do you think matters more? My articles did relatively well on both the sites — they drew a decent number of comments and shares, and sent a healthy amount of traffic back to my site. On Lifehacker however, each new post they published pushed my article lower down the homepage and by the end of 1st day the traffic to my site had almost completely died down. Contrary to that, on MarcandAngel, the traffic came in a little slower, but it kept coming for days. In the end, I got 83 subscribers from Lifehacker and 200+ from MarcandAngel! Last but not the least, pay attention to how liberal the blogger is with letting you link back to your site. Almost all bloggers will allow you to link back to your site from the author byline – that is a given. Byline links are great, but I’ve noticed that a lot of people have developed byline link blindness — just like banner ad blindness. So, if you can include a link within the article, it will significantly improve your chances of the reader following the link through to your site. Case in point, here are two guest posts I did for one of the top personal finance sites, getrichslowly.org – Exhibit A and Exhibit B. Exhibit A got just 40 comments, but had a contextually placed link to my site within the content. Exhibit B engaged the readers a lot better and resulted in 217 comments, but the link was only in the byline. Additionally, when Exhibit A was published I still had the plain text-only landing page with the low conversion rate, whereas I had switched to the fancier landing page by the time Exhibit B was published. In spite of this, Exhibit A brought in 163 subscribers, whereas Exhibit B resulted in only 13 subscribers – a 12.5X difference. Can you imagine that? If I wrote only articles with author bylines, I would have to write 11-12 more articles to get the same number of subscribers as I got from just that 1 article with the contextually placed in-content link. 10. How to Cut Through the Noise and Get Your Pitch Accepted by a Popular Blogger? Find something that is timely based on current events, time of the year etc. And then blow their socks off with the amount of work you put into the post and the value it offers to their readers. I find it easier to just directly send in the completed post instead of pitching the idea first (unless the guest posting guidelines explicitly require you to pitch first). This way I can keep my mail short and to the point, with the simple aim of getting them to open the attachment. If the article is indeed “blow their socks off” good, then they have no choice but to accept it. There is some risk involved in this approach though – (a) you may never hear back from the blogger, in which case you will have to eventually find a way to re-purpose the content and (b) you may have to do significant revisions based on the bloggers suggestions to align it better with their audience. In my opinion, these risks are well worth taking since this approach significantly improves your chances of getting published on a big blog. 10. What Should You Focus On While You Write Your Killer Article? Pick a topic for the post that caters to the host blogger’s audience – its fine even if it has nothing to do with the topic of your blog. Pick a style of writing, and the organization of the post, to allow you to work in some information about yourself and your blog. Personal stories summarizing lessons learned in one form or the other, hands down beats any other type of post to achieve this. Your aim is to show the readers of the host blog a glimpse of who you are, while providing them the information they are there to read. Take this article itself for example – it’s about using guestblogging to build an email list, but as you read it, you’ve got to know me a little. If you are a parent, and you like the way I’ve been writing, chances are you will click through to check out my blog and if what I have to offer there resonates with you, you will sign up. It really is as simple as that. All my articles that have resulted in 50+ subscribers follow this strategy. When it comes to list building, this type of posts trump even monster list posts that went viral! So, there you have it. A simple, yet effective strategy for building a decent sized email list before you even launch your blog. You’ll put it to good use, won’t you? Thanks again to Sumitha for her awesome guest post! If you have any questions / comments / or concerns, please feel free to leave a comment below. Cheers!